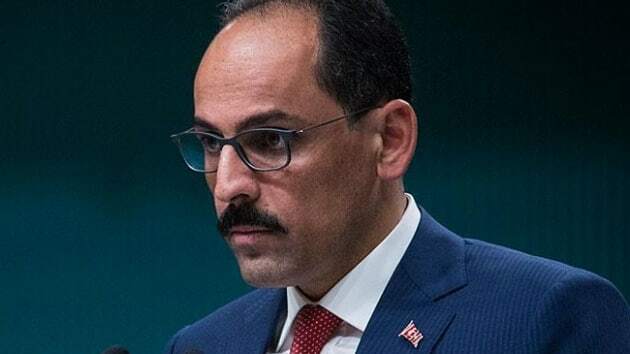 Turkish presidential spokesman İbrahim Kalın has denied that Turkey made a deal with Russia to allow Syrian regime forces into the rebel-controlled province of Idlib in exchange for a free hand in the Kurdish-controlled province of Afrin, Star newspaper said. Turkey and its Syrian allies launched an offensive against the Kurdish-held northwestern Syrian district of Afrin on Saturday, meanwhile Russia and Syrian government troops are battling rebels in the province of Idlib to the south. Turkey has backed various rebel groups in Syria since the civil war began in 2011. “Take Afrin and give Idlib. I have heard this type of thing spoken about a lot. For one thing, this type of thing is out of the question,” it quoted Kalın as saying in a television interview. Russian President Vladimir Putin had reassured Turkey on the issue of Syrian President Bashar Assad, Kalın said. “He said ‘(his regime) must not be ended in a moment in order that the state structure there not collapse’,” Kalın said. If Russia allowed the majority-Kurdish People’s Protection Units (YPG) to represent the Kurdish people of Syria at peace talks in Astana, it would be a “great insult to other Kurds” who were not members of the group, Kalın said.